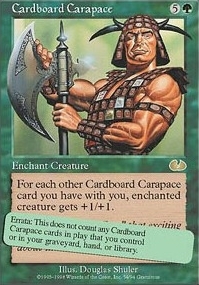 Cardboard Carapace ($1.68) Price History from major stores - Unglued - MTGPrice.com Values for Ebay, Amazon and hobby stores! Card Text: For each other Cardboard Carapace card you have with you, enchanted creature gets +1/+1. 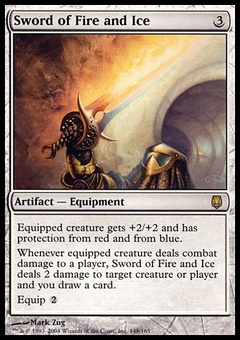 Errata: This does not count any Cardboard Carapace cards in play that you control or in your graveyard, hand, or library. 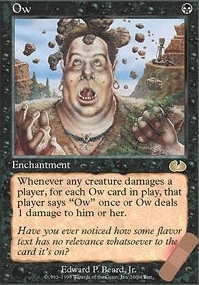 Flavor Text: . . .that exciting. . .about. . .